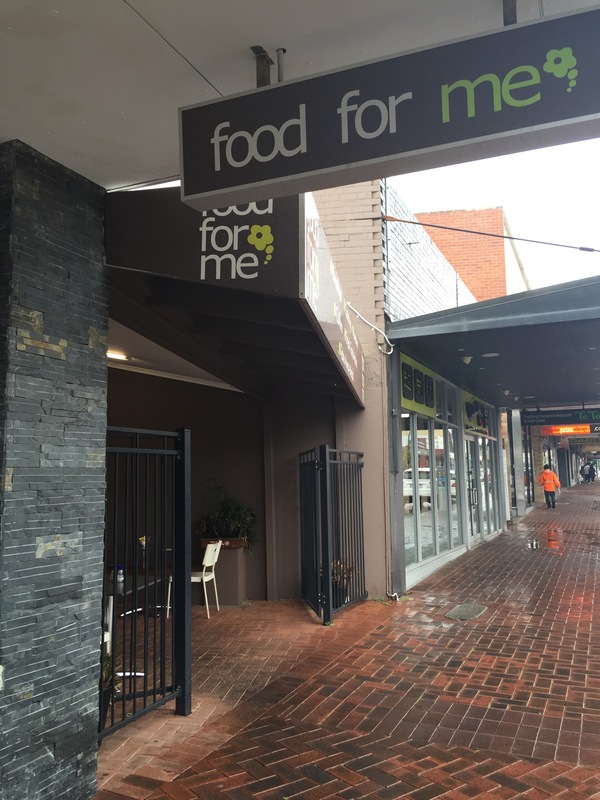 On the miserable and wet grand final day we made our way to Food for Me in Vic Park with friends for a meal. Funnily enough they had a ‘thing’ on and so were closing at 12, but there was still plenty of time for some pre football feasting! Not having been inside we found the cafe surprisingly spacious and seated ourselves before heading back to the counter to order. 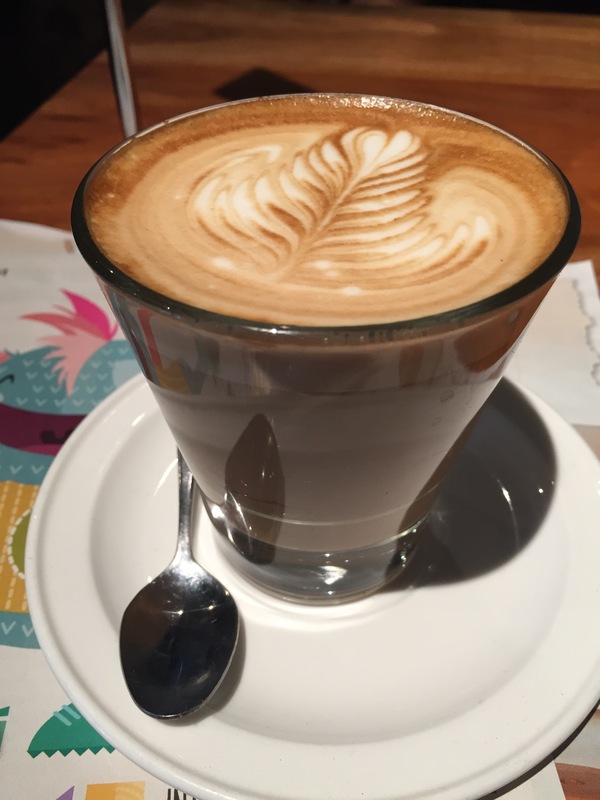 We found our coffee decent, it had a good strength and was creamy. Nothing outstanding but passable. We started the meal with a breaky sambo. This was definitely a man sized meal, loaded with bacon and egg, and avocado smear and salad. It had everything you’d expect, and tasted as it looks, but even with the egg and bacon still felt a bit like a lunchtime meal. Next up was the scrambled eggs with danish feta and sundried tomato to which we added avocado. The eggs were probably a touch underdone and the highlight of the dish was definitely the feta. 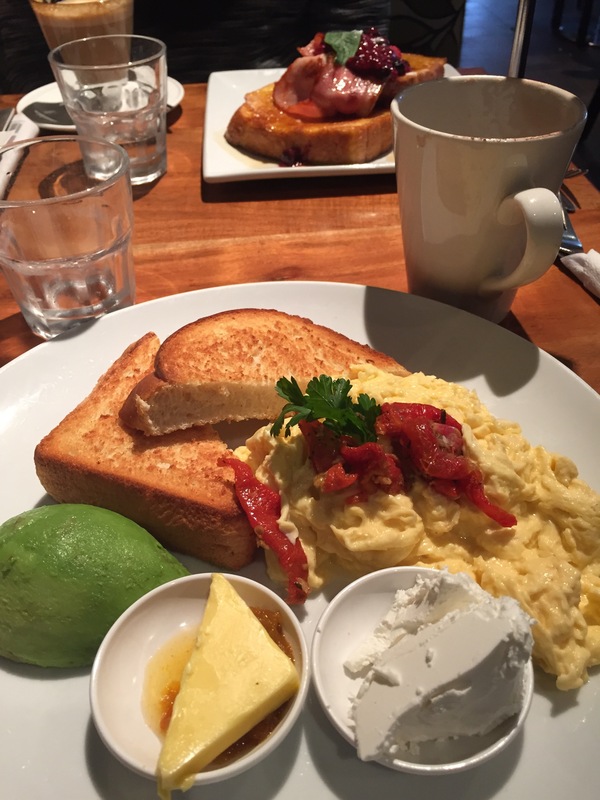 We were surprised that the feta and sundried tomato was served on the side as we expected them to be included in the scramble and would have given it a lot more flavour. It’s a time saving measure that probably isn’t worth it when a little extra effort could really improve the dish. 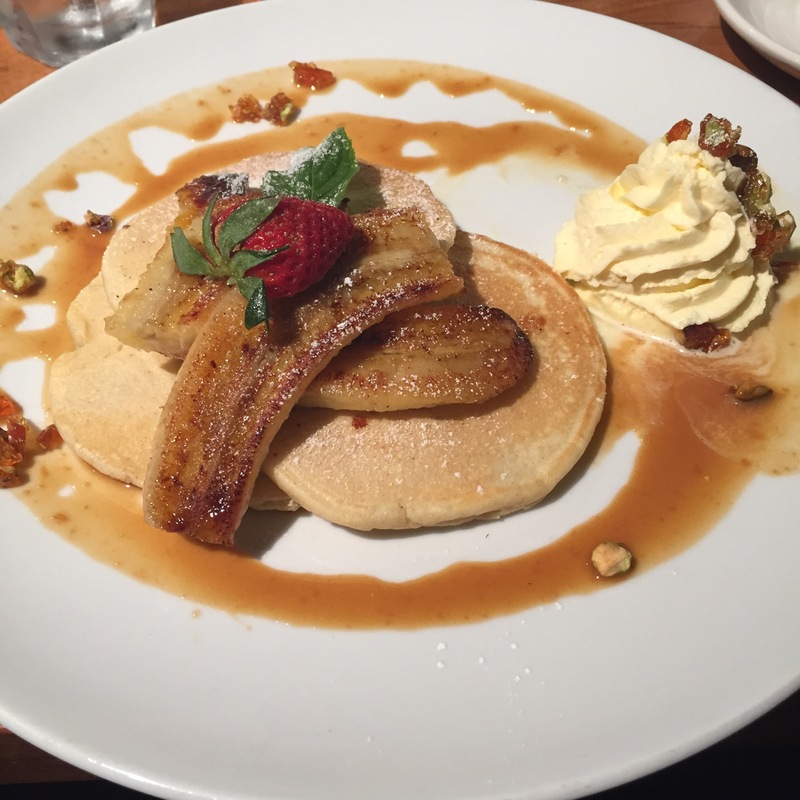 We also tried a couple of sweet options, including the pancakes with whipped cream and walnut praline. The pancakes were a little under as was the praline which was more soft and chewy than crunchy. The dish sounded good but could have been better executed. 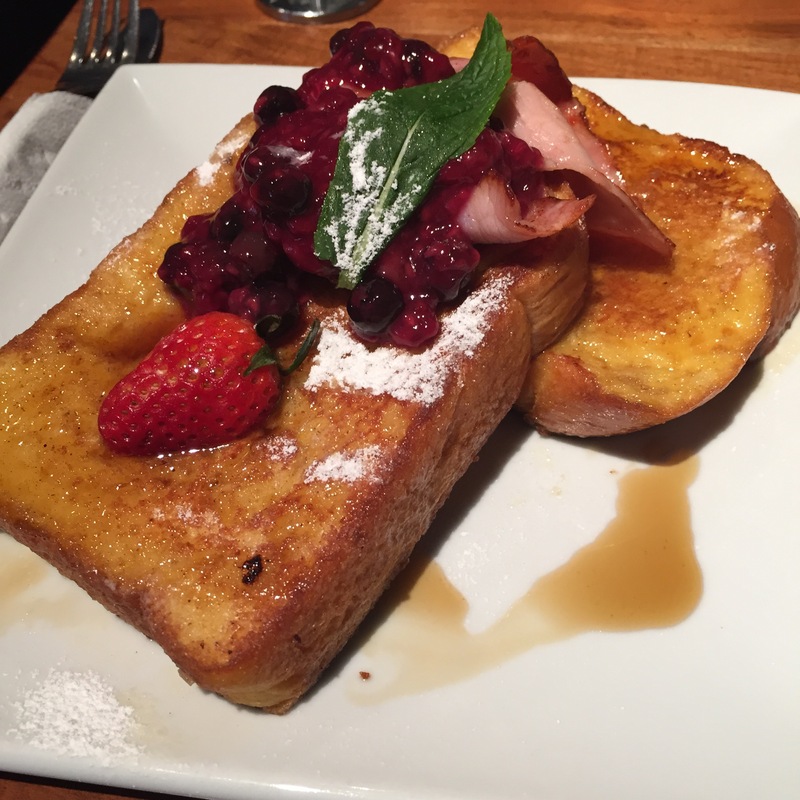 We also tried the french toast, with bacon, a berry coulis and maple syrup. The French toast was good, the benefit of a nice thick brioche. The bacon was nice and flavourful but we would have liked more maple syrup, the coulis had a nice flavour but needed to be a bit thicker. 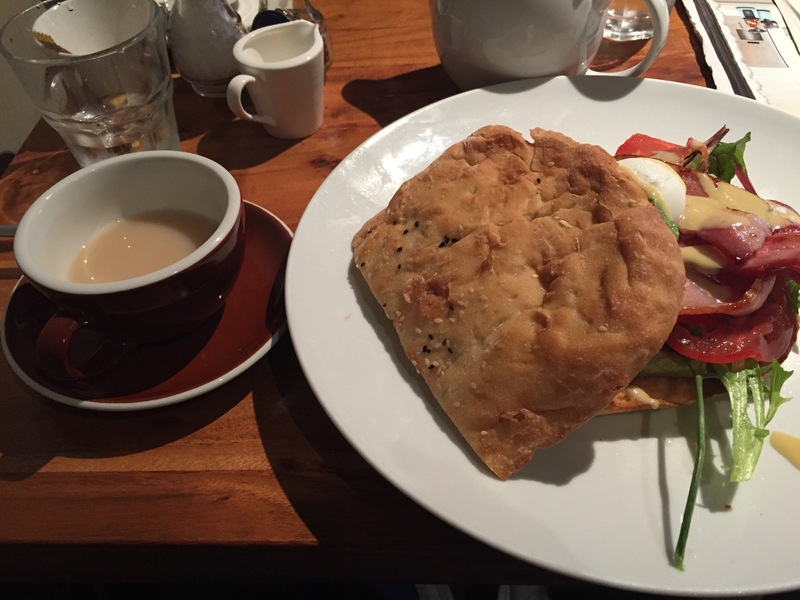 All in all it was a decent french toast, but not up to the standard of some of the others in the area like Sixteen Ounces or Zucchero Espresso. Overall we found everything to be decent but nothing standout. 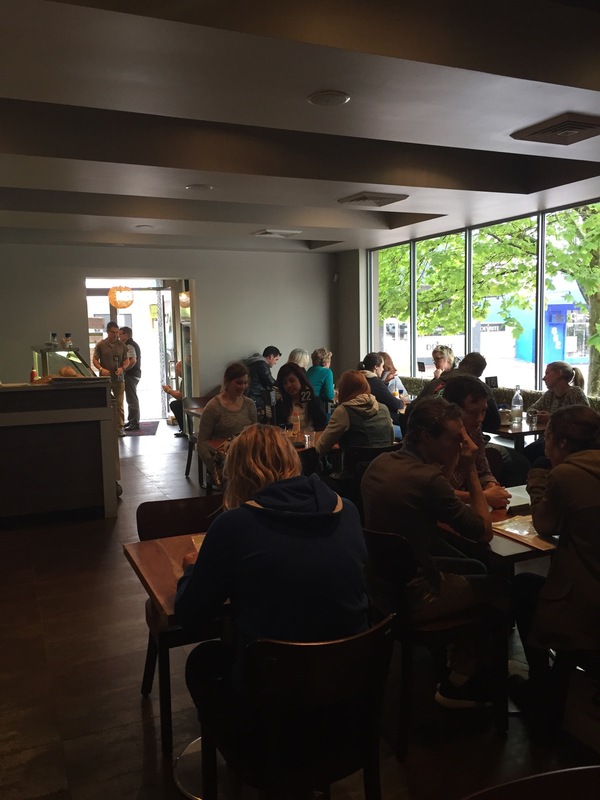 The feel at Food for Me was welcoming but it had that edge of a place that is designed to get people in and out as quickly as possible, especially with waitstaff almost climbing over the table to remove plates while others were still eating. It’s an eatery, and a serviceable one, but there’s not the love here that we were hoping for.